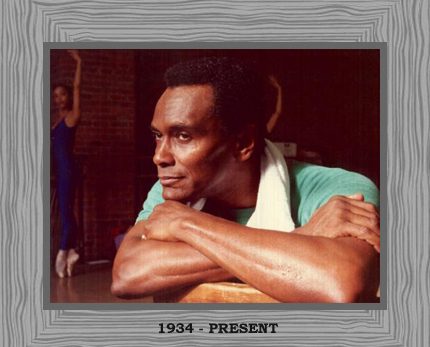 Born in March 1934 in Harlem, New York, Arthur Mitchell grew up in a poor home and surroundings. As a child he had to work in order to support his family. Since the age of 12, Mitchell became the bread earner for his family as his father got imprisoned. He worked hard to make both ends meet and provide for his family. Even though he belonged to a poor family, yet his poverty could not diminish his love for ballet. It was in his junior high school that his guidance counselor suggested that he should audition for the New York City High School of the Performing Arts. Mitchel went there and was accepted in 1949. Here he focused on learning modern dance and jazz. He was also selected for a part in “Four Saints and Three Acts” when he went with a friend for the audition and he went to Paris with the troupe. Mitchell graduated from the School of the Arts in 1952 and was awarded two scholarships from Benington College and the School of American Ballet that was affiliated with the New York City Ballet. Due to his believe that blacks could not perform ballet due to their unfit bodies, Mitchell choose to attend American ballet. He debuted in the New York City Ballet Company’s “Fourth Movement of Western Symphony,” that was choreographed by George Balanchine in 1955. Balanchine became his mentor and casted him in the principal role in “Agon,” where he danced with a white dancer in a sensual performance. While some liked the show, others expressed their revulsion and even called for his removal but Balanchine was adamant and thus Mitchell stayed. He continued to play the central role and it was the first time that a black dancer had a lead role in a big ballet company. This was the start of Mitchell’s career and he learned how to run a ballet company working closely with Balanchine. The National Ballet Company of Brazil was founded by Mitchell when he went there in 1968. He returned to the US after the assassination of Martin Luther King to take a social action and vowed to encourage the African-Americans by teaching them ballet in Harlem and moving the forward in the society. He also founded the Dance Theater of Harlem in 1969 by putting in $25,000 from his own pocket. Due to his efforts, he also received $315, 000 as a grant from the Ford Foundation. The Dance Theatre started with only 2 teachers and 30 students and for 50 cents a week; the students could take as many classes as they wanted. Eventually the company made a name for itself with 400 students and the group had its first performance at the Guggenheim Museum in 1971. Throughout the 1970s, the troupe continued to perform in several cities and countries. In 1981, Mitchell’s Dancing Theatre was the first black ballet company to perform at Covent Garden, London. The troupe also went to Soviet Union for a five week tip that was a big hit in 1992 and also went on a six week tour of South Africa. Mitchell was awarded a Kennedy Center Honor in 1993 and also received the Lifetime Achievement Award from the School of American Ballet in 1995 for his services and efforts in the history of ballet. While Mitchell might not fit the profile of a world renowned dance artist, he is without any doubt one of the best ballet performers and choreographers who not only made a name for himself but also worked hard to change the destiny of the African-American people.